I love fabric. Sometimes I just like to walk by my sewing room and look at it. Or touch it. I know, I'm obsessed. Did you know that what you look at in your creative space can either spark or dim your creativity? Cluttered or clean? Bright or dark? Organized or a big fat mess? In an effort to create a more inspiring sewing room, I determined that a great 1st step is to organize my fabric. 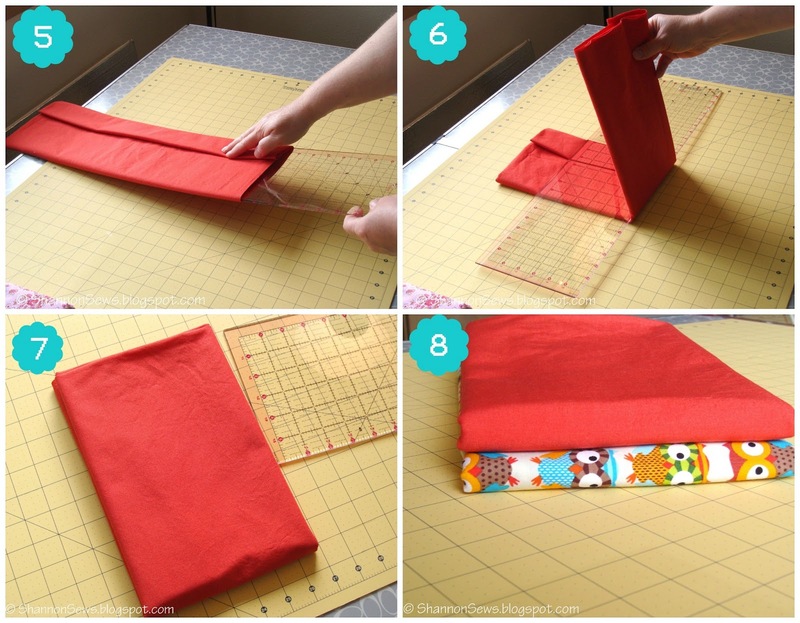 A 6" plastic sewing ruler makes a great folding tool. 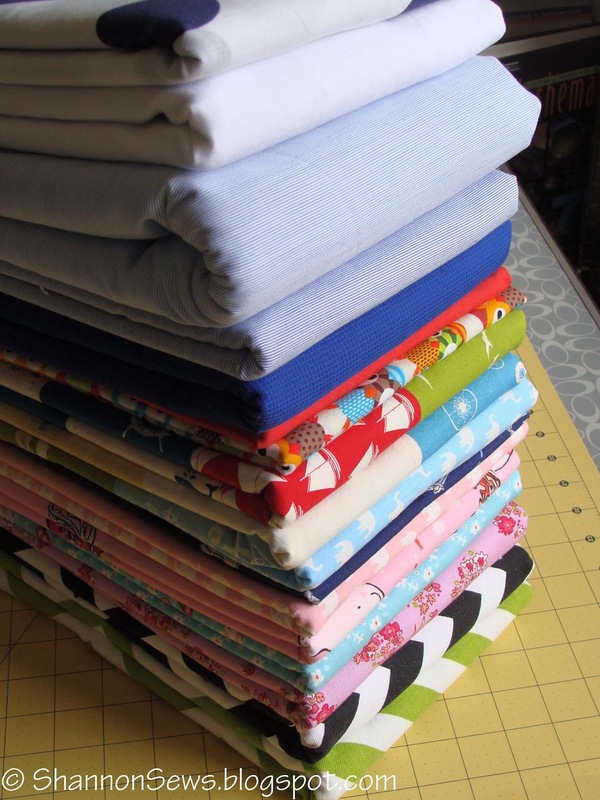 By creating a uniform size and shape, you can store your fabric in neat little stacks. Keep it out on a shelf to get your creative juices flowing, or tuck it neatly away in an organized bin. It take a little time, but is well worth it! I can't tell you how many ideas ran through my head just by looking at each fabric as I folded it neatly into place. 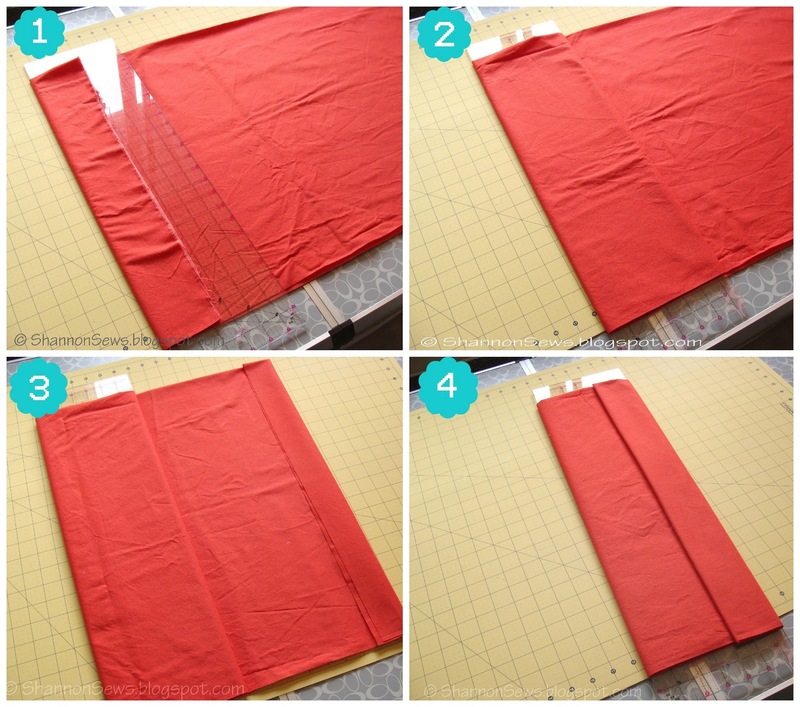 1st: Fold your fabric in half, selvedge to selvedge, and begin to wrap it around a 6" plastic sewing ruler, starting at the end. 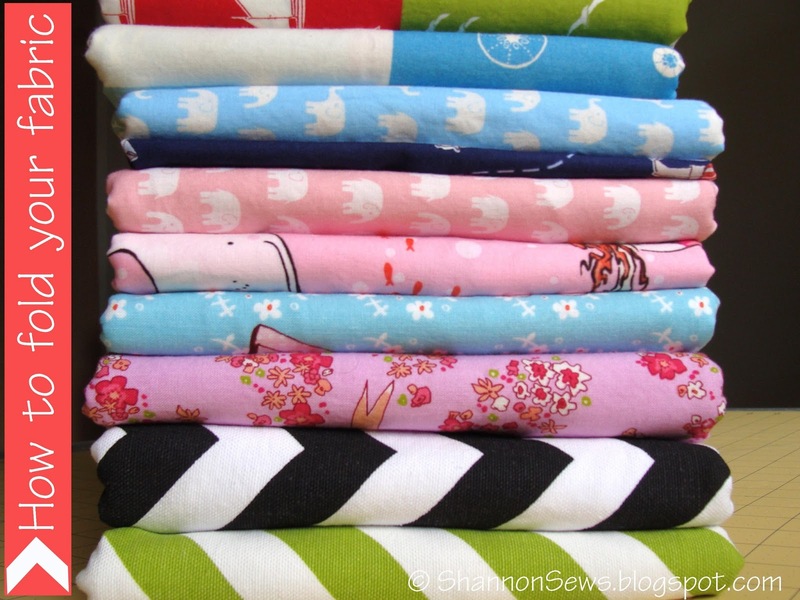 Some like to sort these lovely folded stacks by color, others by fabric type. Decide what works best for you. Going through all your supply is like opening boxes of old belongings you forgot you even had! Let the new ideas and creativity begin! It is always nice to meet someone with a similar obsession. I like looking at my fabric piles too! I had a very large box that I used to dump out on my living room floor and just admire all the colors and textures. Wow that looks great. Want to come to my place and fold more fabric? I have lots. 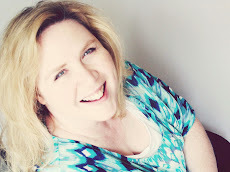 Who knew that refolding that stash of fabric would spur on the creativity? You did! Thanks for sharing this extraordinary tip at Monday Funday!!! This looks so pretty and organized! I should really try this with my fabric stack and maybe I could fit more in each drawer! Thanks Lisa! It's amazing how much more fabric fits in my bins this way. Hope it works for you too! Good idea! My sewing room is currently in disarray because we just had a house moving... But I will keep this suggestion for when I will have shelving for my fabrics. Glad my fabric tip helps! Good luck with all your other organizing too! What a cluttered mess my sewing room is! I try to keep all my fabrics nicely folded but as soon as I finish a project its all a disarray! Visiting from the Mad Skills link up! Wow, those folded piles do look enticing! Great tips! Shannon, what a great idea! My sewing stash is a gigantic mess... I bet this folding tip will get me in top shape quickly! Love it!